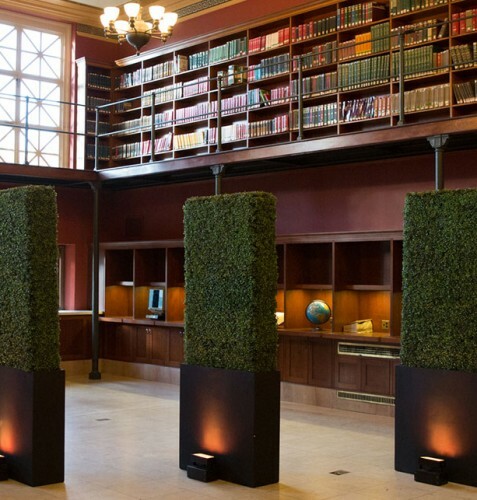 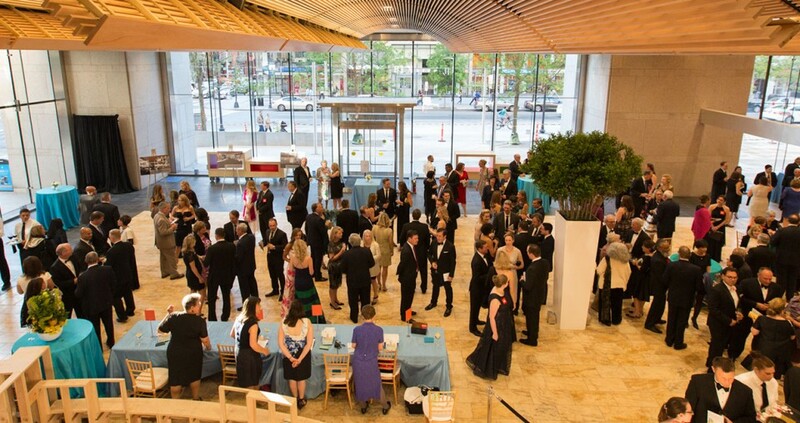 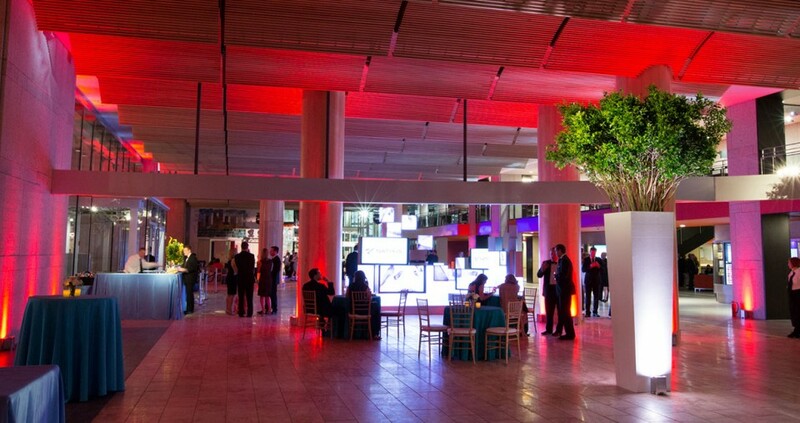 The 2016 Boston Public Library Foundation Gala was a preview of the newly renovated Central Library in Copley Square, which reopened to the public on July 9, 2016. 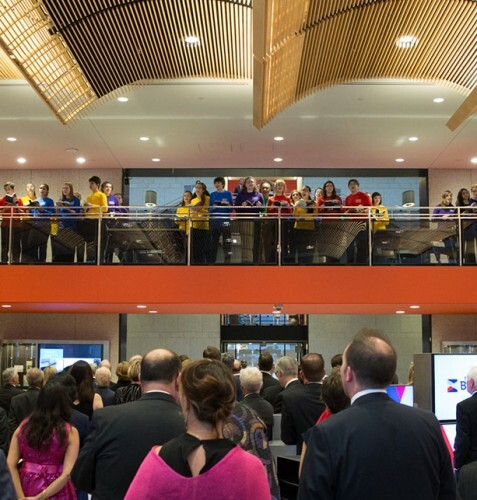 Dressed in black-tie fashion, The Catered Affair staff welcomed guests into Boylston Hall, one of the most expansive new event spaces in the library. 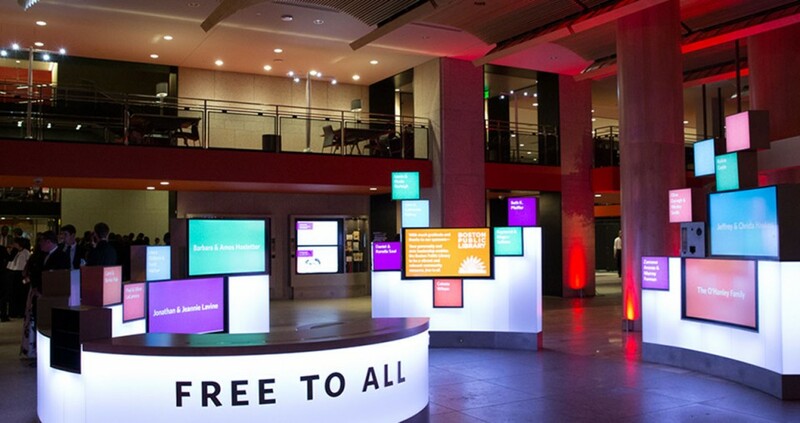 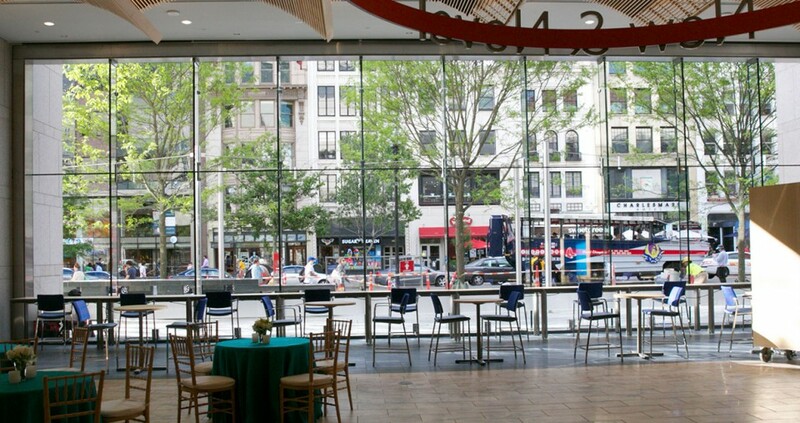 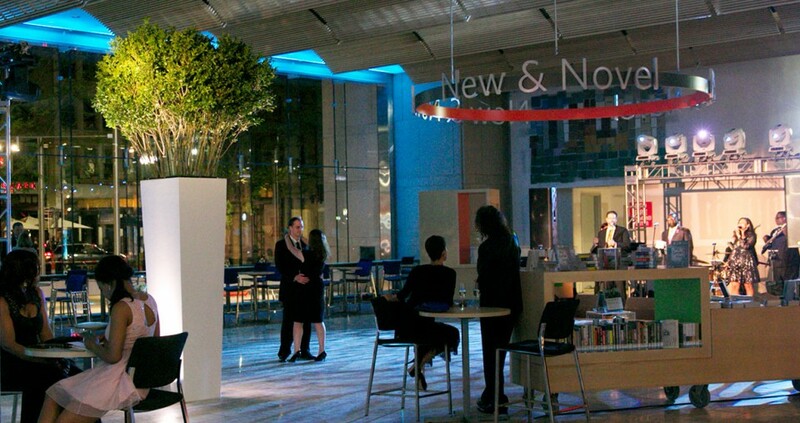 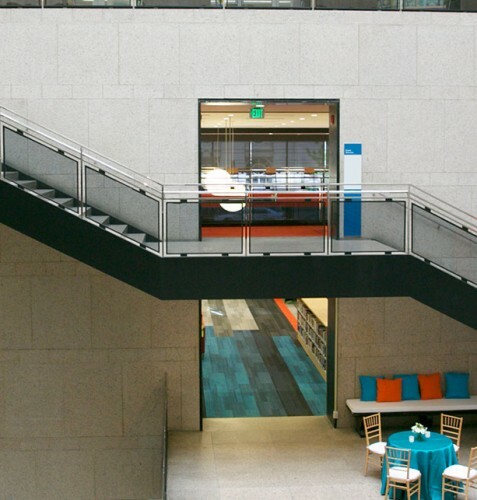 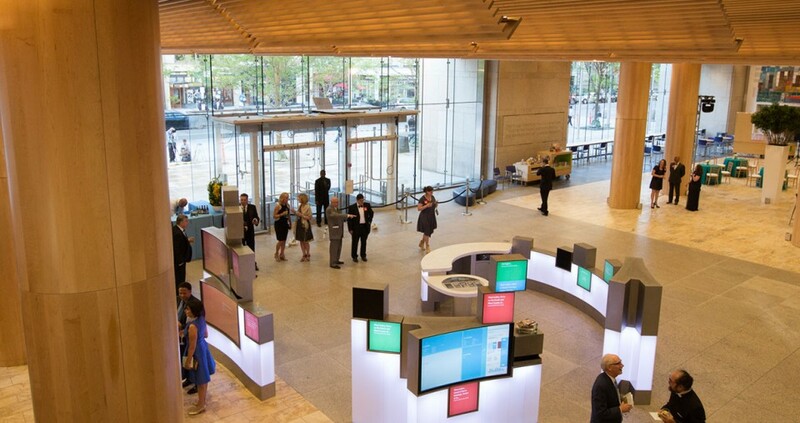 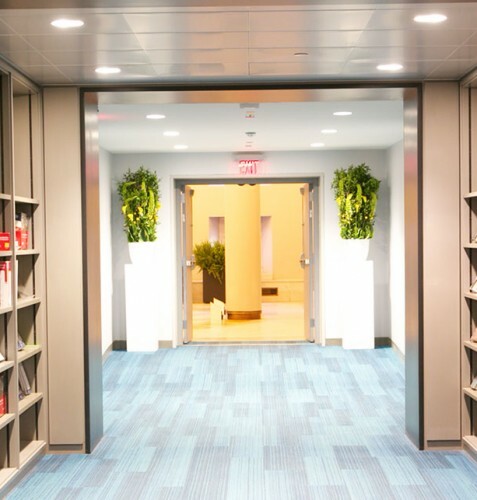 Boylston Hall is comprised of the Newsfeed Cafe, the New and Novel section, and the futuristic Welcome Center, complete with a variety of digital components, such as a Twitter wall and a place to take a shelf portrait. 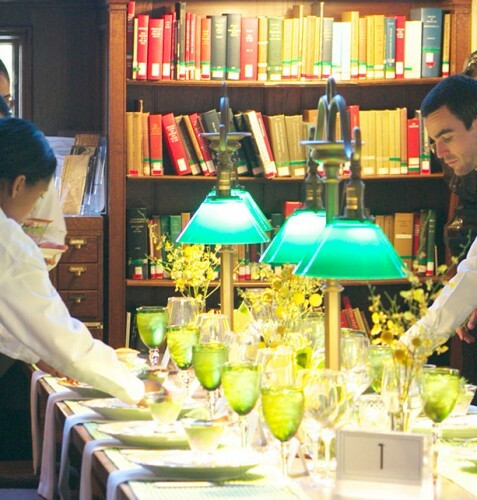 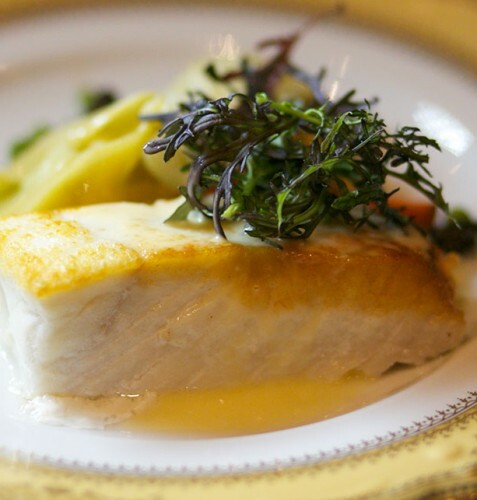 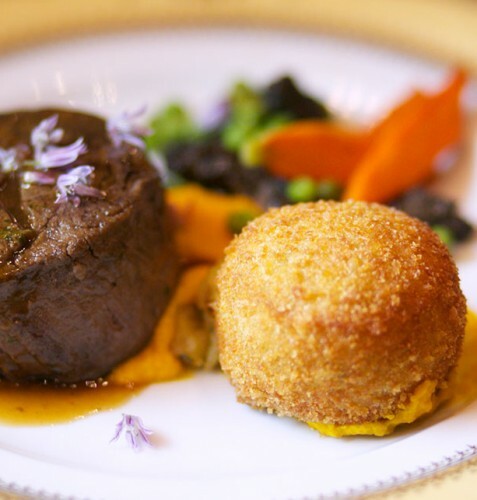 Following performances by Boston’s Children Choir and a welcoming speech by the new Boston Public Library President, David Leonard, guests were brought to the historic McKim building and settled in for dinner in Bates Hall. 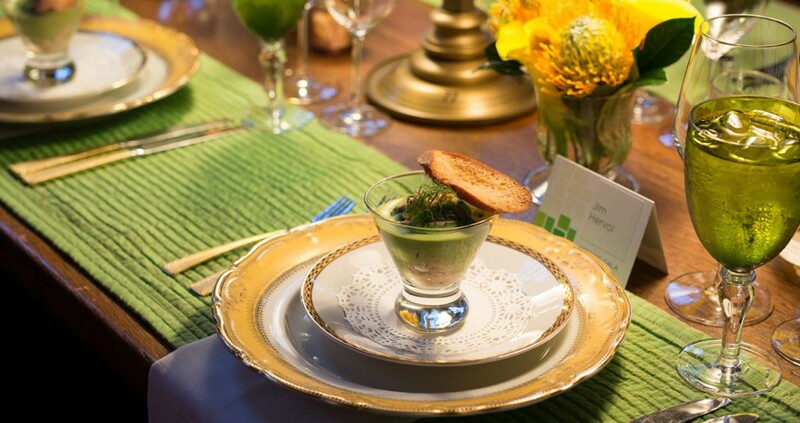 A preset course of wild salmon with pickled cucumber and crème fraiche was served among the memorable green reading lanterns and a stunning summertime-inspired tablescape. 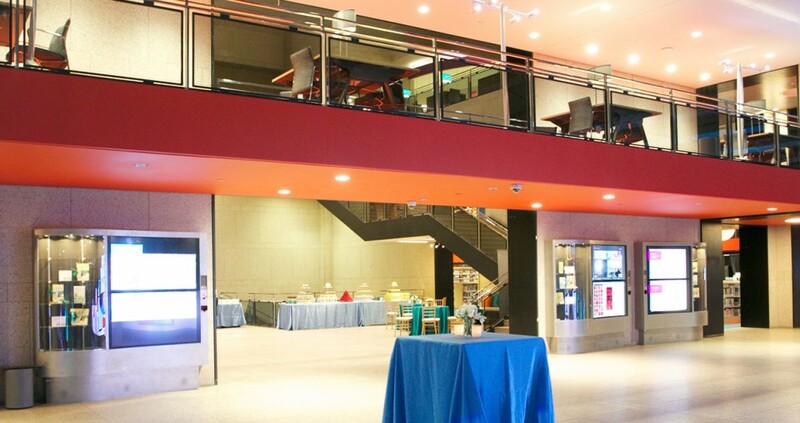 As the sun set, guests then went back to Deferrari Hall and Boylston Hall for drinks and dancing inside the floor-to-ceiling window-enclosed space. 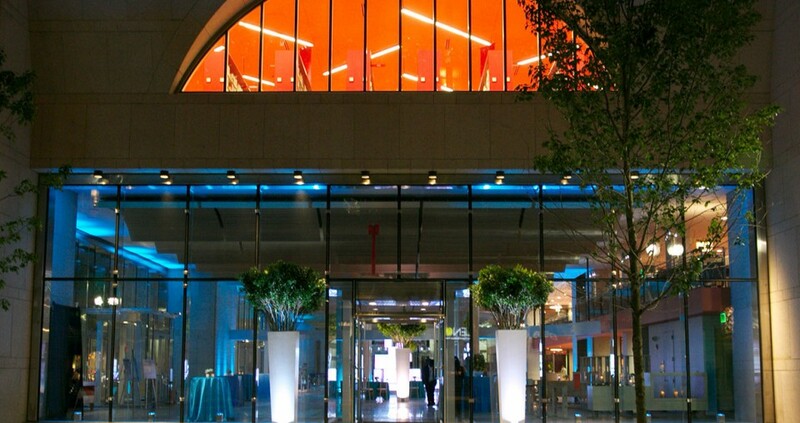 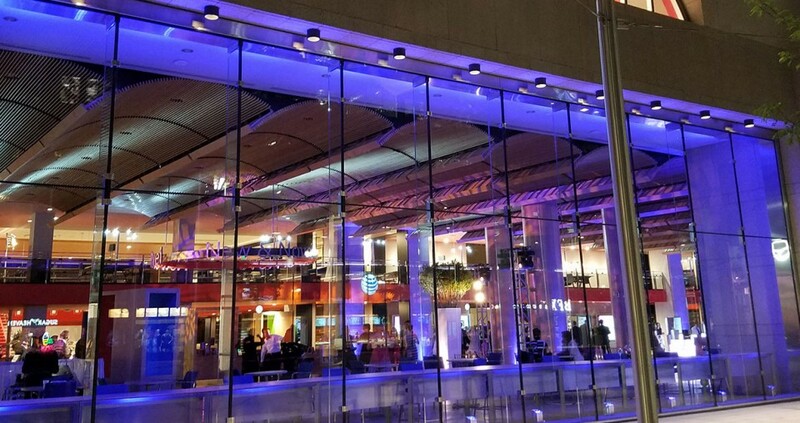 From outside, the revelry of the night’s red and blue lighting truly lit up 700 Boylston Street in an elegant light. 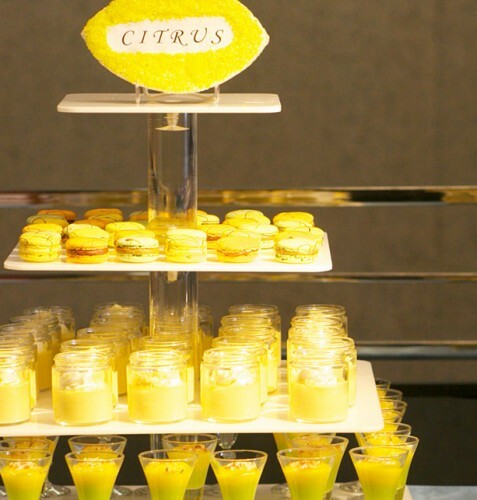 Overall, the night was an amazing success and The Catered Affair was proud to be a part of the event. 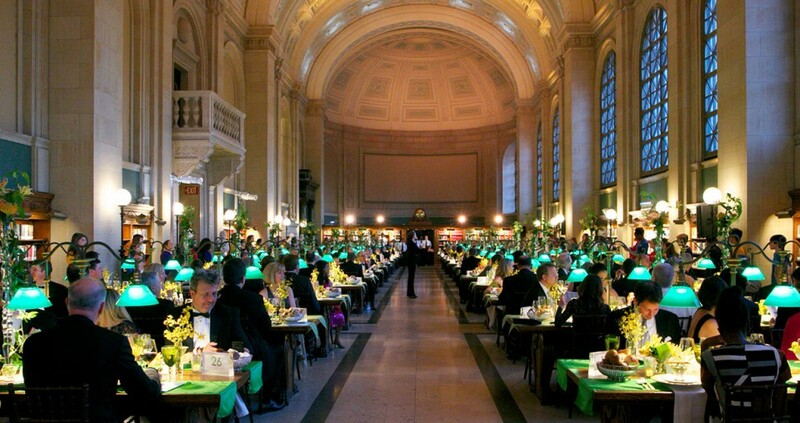 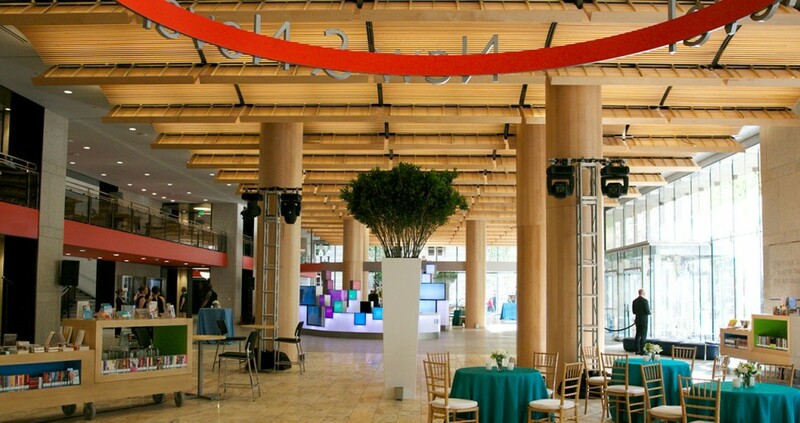 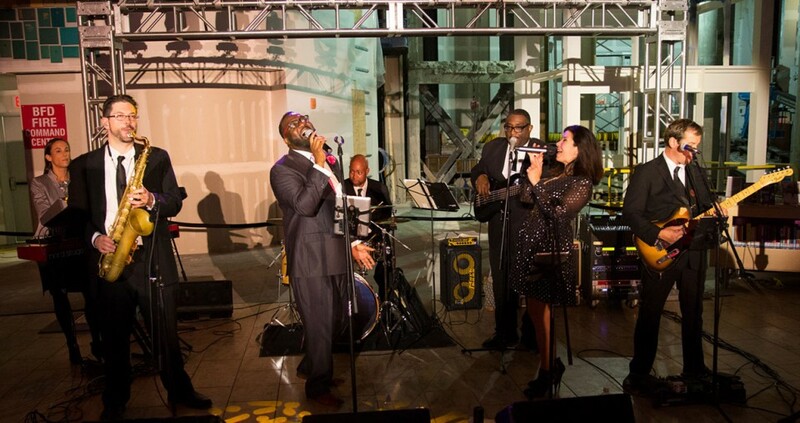 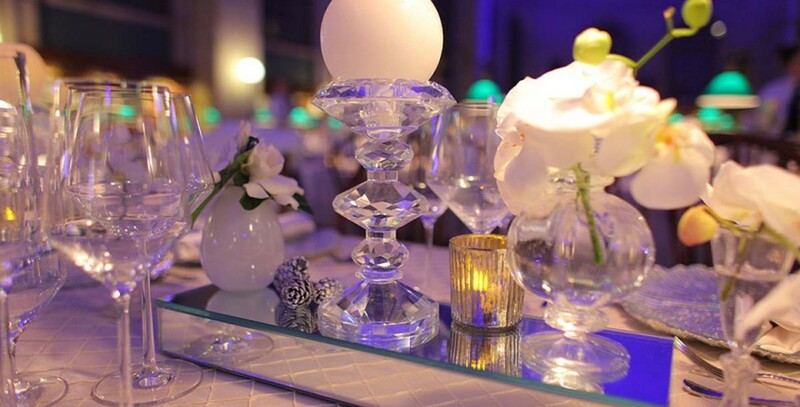 Enjoy this peak into the Gala and continue to explore the Johnson building’s event spaces here.